I started with the red that I used a few years ago. You can find the red pillow covers, *here, and white shams, *here. Then I did a little switcheroo with some of the decor and replaced the red with green pillow covers, a last-minute purchase. 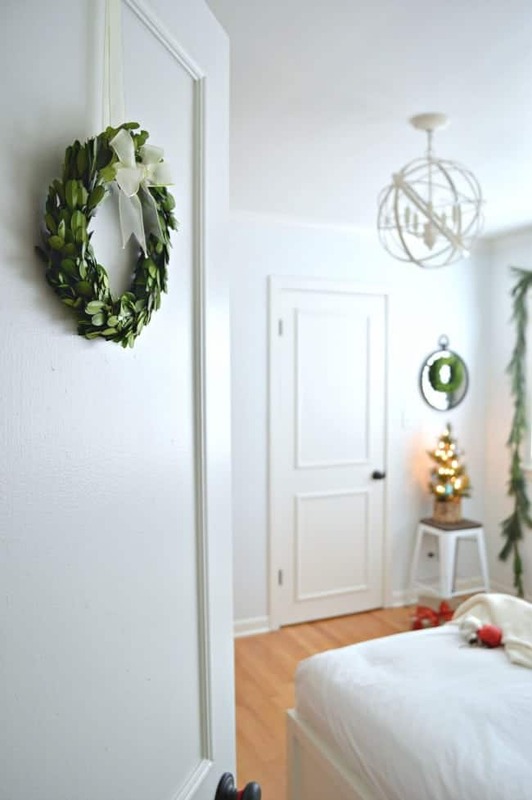 I also added a beautiful magnolia wreath that I found at a floral wholesaler. It brings back wonderful memories of our time living in Georgia. My DIY lightbulb banner still hangs in here, too. 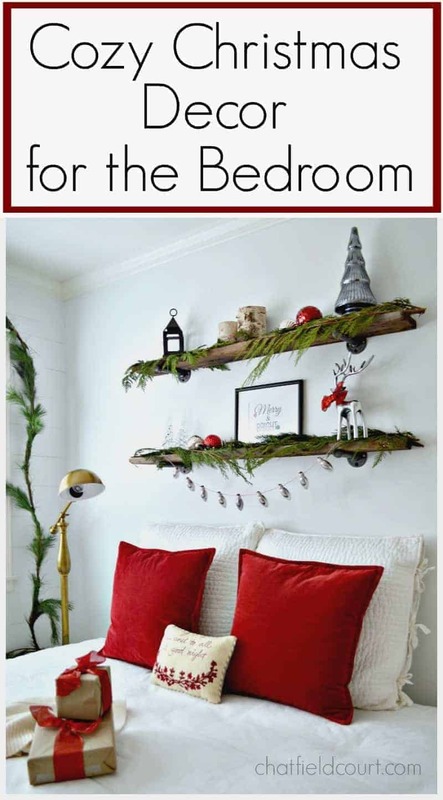 I tried it in different places in the house but I like it best hanging on the barn wood shelves. The green is really pretty but I think I’m partial to the red. It just screams Christmas to me. Which one do you like best? 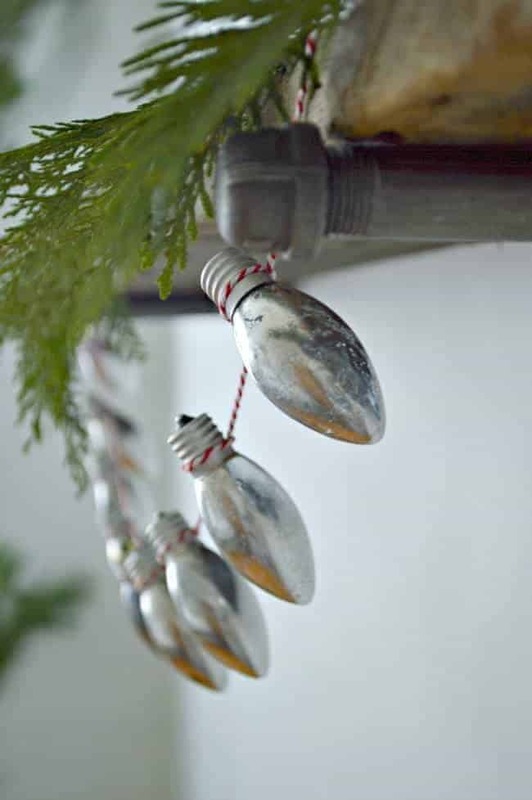 You can check out more Christmas decor. I choose both! Both rooms are stunning. A lovely combination of rustic and elegance.LOVE!! 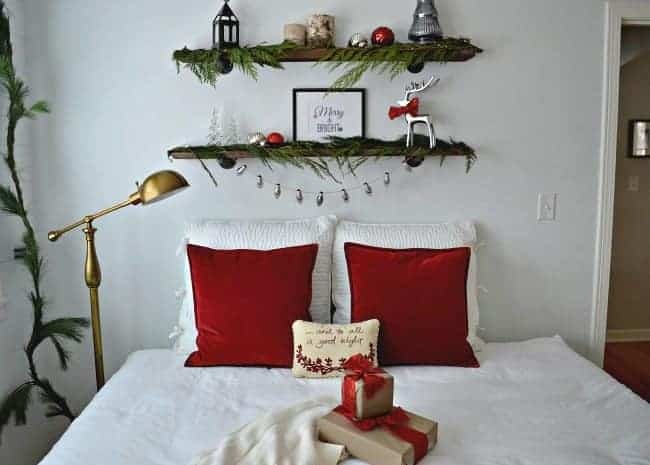 Love this space, so very cozy and I love those pops of red! Thanks so muck Kristin! I loved the red too. 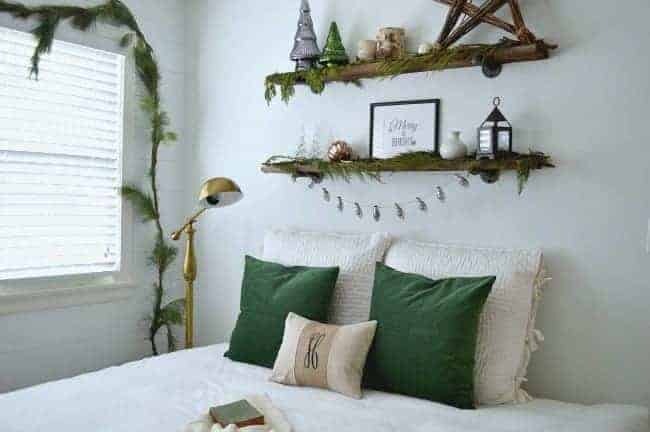 I love the shelves above the bed. What an inviting space! Thanks so much, Jacque. They were one of our favorite DIY’s in that space. 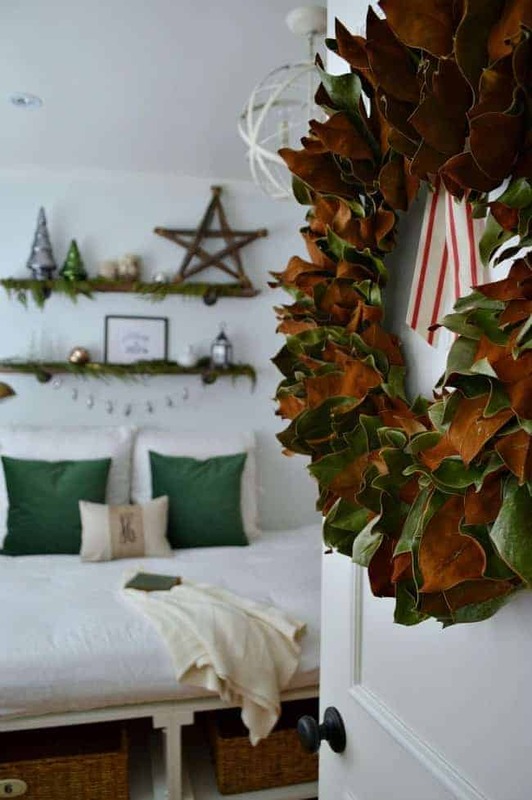 Love your cozy Christmas bedroom decor and your style. Just beautiful! Hey Kristi! I’m wondering where you found this bed frame? Or did you make it yourself? 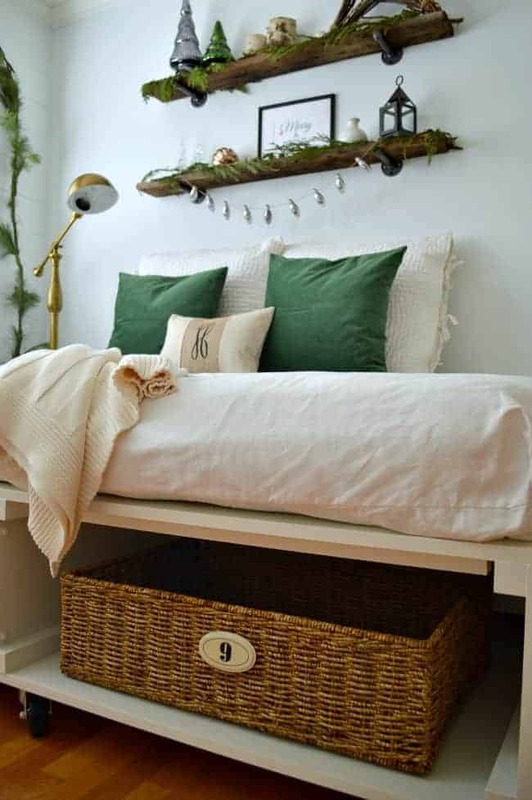 I love the idea of finding something for my guest bedroom that has some storage built in! Hi Stephanie! We actually made the bed to fit a futon mattress that we had (plus I needed extra storage in this small room). It’s turned into my favorite (and most popular project). If you want to see how we made it, you can check it out here, http://www.chatfieldcourt.com/diy-platform-bed/. 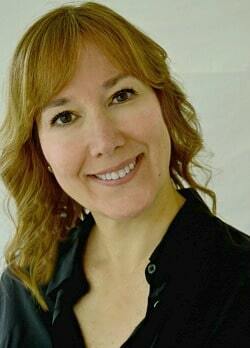 Thanks so much for stopping in and if you have any other questions, don’t hesitate to ask. The room is so beautiful with the greens. 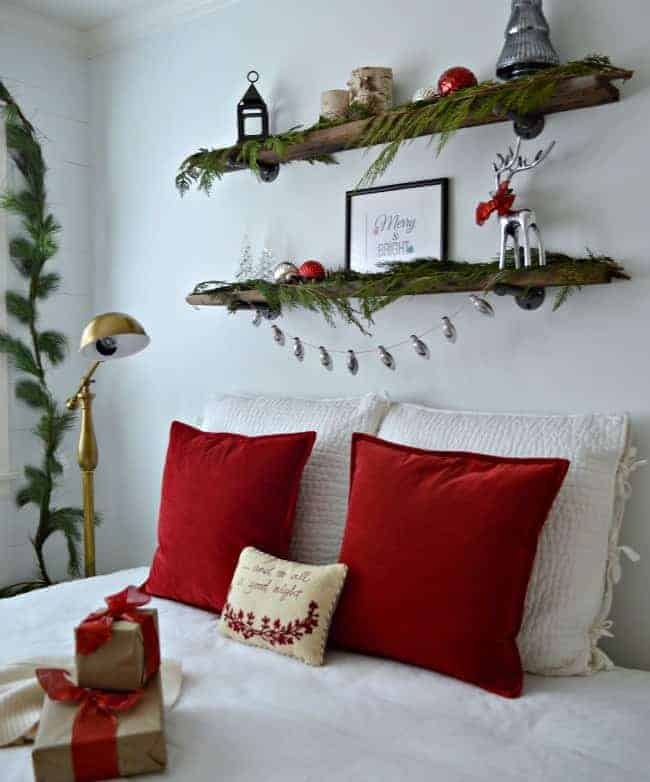 But the red pillows add a dash of cheer. I think it depends what you want cheery or calm. Either way they are both incredibly beautiful and add to the already gorgeous rustic room. Thanks so much for the sweet comment my friend! 🙂 Merry Christmas to you! 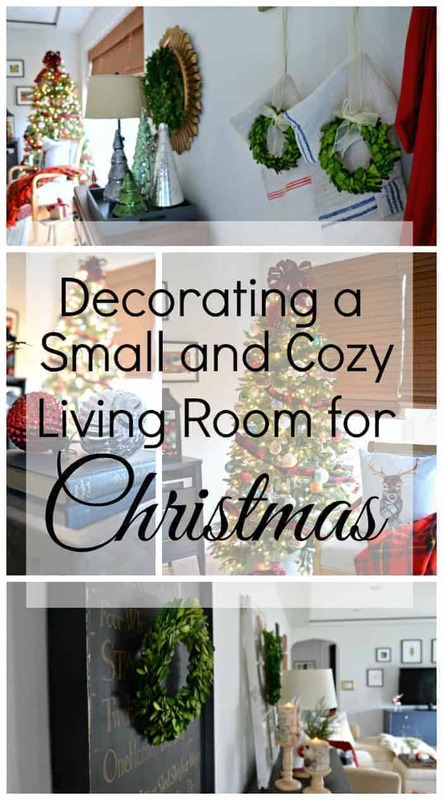 The green pillows do give the room that cozy look but I like bright colors and the red sings Christmas to me. I also like the red with crisp white bedding. It gives the room that crisp cool look that makes you feel refreshed in the morning. Thanks Debbie, I do like the red with the white too. I prefer the green pillows way more than the red. It still looks Christmas-y but red is so overdone at this time of year, the green is, as you said, calming. And, the green pillows bring out the green in the garlands. Looks great either way …. Thanks for stopping in and taking a look. Happy Holidays!